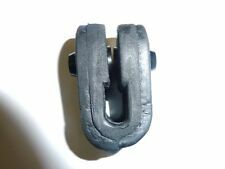 FIAT-Punto Doblo Idea Exhaust Rubber Mount. Doblo 1.2i MPV 1242cc (48 kW, 65 HP), Eng:223A5.000. OBD Doblo 1.2i MPV 1242cc (48 kW, 65 HP), Eng:223A5.000. OBD. 02/2001-12/2003. Doblo 1.4i Cat Estate 1368cc (57 kW, 77 HP), Eng:350A1.000. BMW E90 E92 E93 M3 2006-2010. Mirror polished all the way through not just the tailpipe. Stainless Steel Exhaust System. Ending Soon. Produces very deep sound. Improves power and torque over the entire RPM range. New listingLIMITED STOCK! BMW F87 M2 F80 M3 F82 M4 F10 M5 F12 M6 CARBON FIBRE EXHAUST TIPS! Real Dry Carbon Fibre Gloss outer Shell. Fitting takes roughly 20 minutes and doesn't require professional installation and doesn't require special tools. Condition is New. 3' F34 GT (07/2012 — 06/2016). 3' F34 GT LCI (01/2016 — 02/2018). 4' F32 (04/2013 — 02/2017). 4' F32 LCI (05/2016 — 02/2018). 2' F22 (10/2012 — 06/2017). 2' F22 LCI (09/2016 — 02/2018). 18307618464 3 Series E91 LCI Touring 320d N47N (UY12) 02.01.2012 - 0.399 kg. 18307618464 3 Series E91 LCI Touring 320d ed N47N (UY71) 02.01.2012 - 0.399 kg. 18307618464 3 Series E91 LCI Touring 320i N46N (US71) 02.01.2012 - 0.399 kg. BMW F30 F30 F22 F10 G30 F33 E90 E92 E93 E63 E39TWIN DUAL EXHAUST. TO CONVERT TO DUAL TWIN EXIT. 18307803692 X1 E84 SUV X1 16d N47N (VY11) 01.03.2007 - 0.370 kg. 18307803692 X1 E84 SUV X1 16d N47N (VY12) 01.03.2007 - 0.370 kg. 18307803692 X1 E84 SUV X1 18d N47 (VN11) 01.03.2007 - 0.370 kg. 18307803692 X1 E84 SUV X1 18d N47 (VN12) 01.03.2007 - 0.370 kg. BMW 320i, 325i & 330i 3.0 Petrol E46. A Scorpion Stainless Steel Cat Back System. Northern Ireland, Southern Ireland, Highlands, Orkney, Shetland, Isle of Wight, Isle of Man. Actual Image of Exhaust. 82120392141 1 Series E87 5 doors 116i N45 (UF11) 01.07.2004 - 0.128 kg. 82120392141 1 Series E87 5 doors 116i N45 (UF12) 01.07.2004 - 0.128 kg. 82120392141 1 Series E87 5 doors 118i N46 (UF31) 01.07.2004 - 0.128 kg. 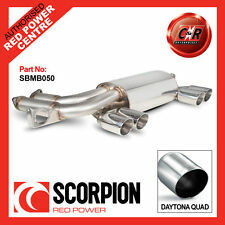 Here we have for sale: BMW F30 M Sport 320d Twin Exhaust CAT Back. Model: BMW. Collection in person only. Taken off of my 2017 Mini F56 JCW as I now have a Remus valved exhaust installed. 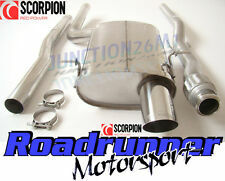 Would be a great upgrade for a Cooper S.
bmw 3 series exhaust tip. Condition is New. Collection in person only. E87 Bmw Miltek Exhaust Dpf Back. Bmw f30/31 335d backbox exhaust twin tail pipe. Condition is Used. Dispatched with Other Courier (3 to 5 days). 18307559999 1 Series E88 Convertible 135i N55 (UN71) 03.09.2007 - 0.185 kg. 18307559999 1 Series E88 Convertible 135i N55 (UN72) 03.09.2007 - 0.185 kg. 18307559999 1 Series E88 Convertible 135i N55 (UN73) 03.09.2007 - 0.185 kg. bmw m performance exhaust tips. Condition is Used. Dispatched with Royal Mail 1st Class. SELLING AS A PAIR. just want to get rid of them. 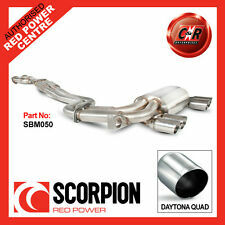 Only suitable for M performance Silencer system. 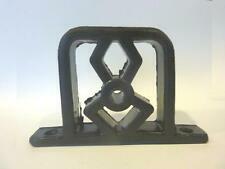 The part may require fitment by a qualified technician! 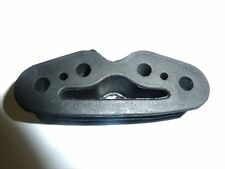 Suitable For: BMW 2 Series, 3 4 - F87 M2, M2 LCI, F80 M3, M3 F82 M4, M4 F83 Has been fitted and used however they look good as new, require any more pictures feel free to message me. BMW F06 640i N55 3.0L. BMW F06 640i xDrive N55 3.0L. BMW F10 535i N55 3.0L. BMW F10 535i xDrive N55 3.0L. BMW F12 640i N55 3.0L. BMW F12 640i xDrive N55 3.0L. BMW F13 640i N55 3.0L. BMW F13 640i xDrive N55 3.0L. Fog Light Bulbs Headlight Bulbs Indicator Bulbs Spare Bulbs Box Taillight Bulbs. Original BMW Parts. 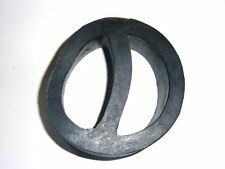 x Original BMW Parts. 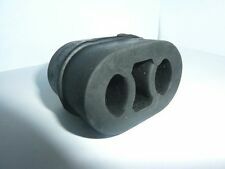 Snap-in Adapters Floor Mats Luggage Mat Wheel Accessories Bulbs Kidney Grilles BMW Performance. Silencer Boxes. Your standard exhaustwill have restrictions within the exhaust boxes, known as baffles & chambers. 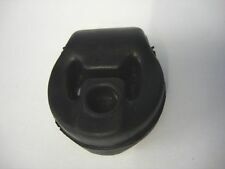 One of the aims of this type of exhaust box is to reduce the sound level with intersections & sound absorption material. 18307577998 X1 E84 SUV X1 25iX N52N (VL52) 03.12.2007 - 0.200 kg. 18307577998 X1 E84 SUV X1 28iX N52N (VM31) 03.12.2007 - 0.200 kg. 18307577998 X1 E84 SUV X1 25iX N52N (VL51) 03.12.2007 - 0.200 kg. 18307577998 1 Series E88 Convertible 125i N52N (UL91) 03.12.2007 - 0.200 kg. 18307553641 3 Series E93 Convertible 323i N52N (WL32) 01.09.2006 - 0.270 kg. 18307553641 3 Series E93 Convertible 325d M57N2 (WM71) 01.09.2006 - 0.270 kg. 18307553641 3 Series E93 Convertible 325d M57N2 (WM72) 01.09.2006 - 0.270 kg. Mini One & Cooper 1.4 & 1.6 MK2 R56. (Non-Resonated - Louder). (Embossed with the Scorpion Logo). Northern Ireland, Southern Ireland, Highlands, Orkney, Shetland, Isle of Wight, Isle of Man. Actual Image of Exhaust. (SSXBM1032). World-renouned performance exhaust manufacturer Milltek Sport has released details of its hand-finished stainless steel exhaust system for BMW’s range-topping M4. Having already created several solutions for other recently released M-powered cars, Milltek’s engineers already have enviable experience in getting the best from Munich’s finest power-plants. Bmw 325 330 E92 Coupe Exhaust Delete. Condition is Used. 82120398333 3 Series E91 Touring 318d M47N2 (VU12) 14.01.2005 - 0.170 kg. 82120398333 3 Series E91 Touring 318i N46 (VR51) 14.01.2005 - 0.170 kg. 82120398333 3 Series E91 Touring 318i N46 (VR52) 14.01.2005 - 0.170 kg. 18308511729 5 Series F07 GT Gran Turismo 530d N57 (SN61) 01.09.2010 - 0.166 kg. 18308511729 5 Series F07 GT Gran Turismo 530d N57 (SN62) 01.09.2010 - 0.166 kg. 18308511729 5 Series F10 Saloon 528i N53 (FS51) 01.09.2010 - 0.166 kg. We are proud to introduce the BR Motorsport 3″ ‘RACE’ catless downpipe for your F10 M5 / F12 M6 4.4 twin turbo engine variant. This 3″ downpipe is the best value modification available. 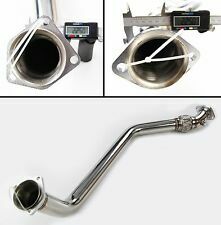 By eliminating the restrictive catalytic converter in the factory downpipes, back pressure is reduced significantly which results in faster spool, an increase in power & a more aggressive exhaust note. A pair of direct fit backboxes for the BMW 6 series. The backboxes have been given a standard set-up to give you that quality sporty tone. These backboxes have also been given twin tailpipes to give your 6 series a stylish look.